These 10 Halloween Books for Preschoolers Are a Treat! 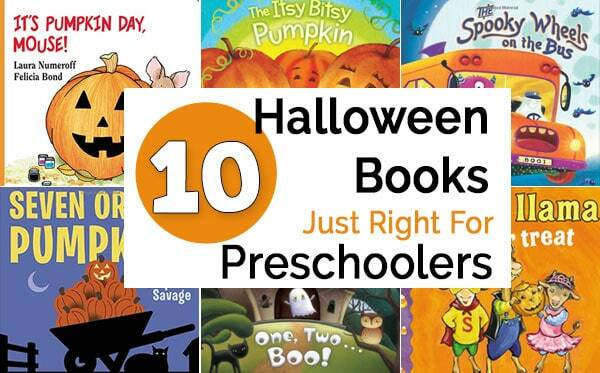 These 10 engaging Halloween books for preschoolers are perfect for October storytime. 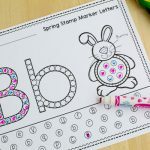 Count, rhyme, and giggle together as you look forward to the big day! The apples have been picked and the leaves have fallen off the trees. It’s now time to stock up on candy, carve our Jack-O-Lanterns, and get ready for Halloween. We’ve come up with a list of 10 of the Best Halloween Books for Preschoolers to help us get into the spirit and celebrate. 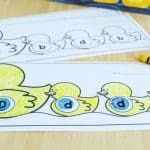 We love rhyming books – not only because they’re fun to read – but also because they’re great for developing phonemic awareness. The Spooky Wheels on the Bus – Does your kid love the “Wheels on the Bus?” This cute picture book turns that favorite song into a fun Halloween themed book that you can’t resist singing! Llama, Llama Trick or Treat – Like other Llama, Llama books, is one full of short sentences and rhymes to help your child read and talk about picking out the perfect Halloween costume and other holiday festivities. The Itsy Bitsy Pumpkin – This is another book that is a play on a classic kid’s nursery rhyme, updated for Halloween. 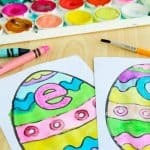 The bright, colorful pictures also keep kids entertained as they read along. Pete the Cat – Five Little Pumpkins – Do you love the classic children’s song “Five Little Pumpkins?” If so, this Pete the Cat Halloween-inspired story is a must-read! Kids can practice their numbers with these adorable Halloween counting books. Ten Timid Ghosts – This cute, ghostly book is a great read along that will help young children to practice number recognition and counting. One, Two… Boo! 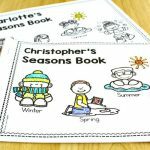 This is a fun book for preschoolers who love lift-the-flap type books! They will practice counting as they lift the flaps through the spooky, old house. Seven Orange Pumpkins – This story is perfect for children who just can’t wait for Halloween and want to count the days till Halloween. 10 Trick-or-Treaters – Your child will practice identifying numbers and counting while reading about ten special trick-or-treaters. 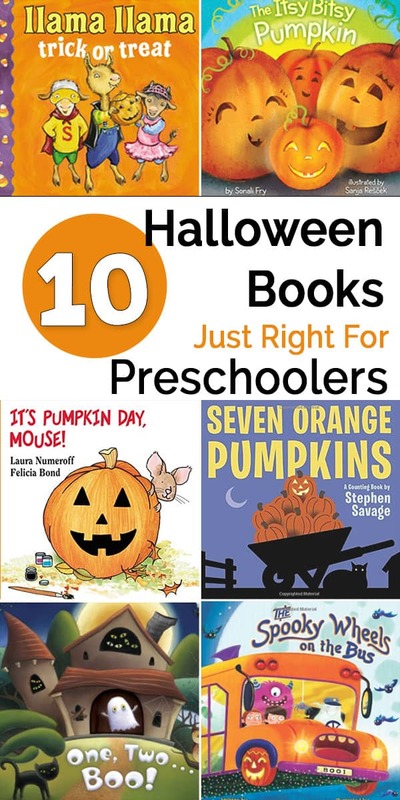 These titles are particularly good at showing preschoolers Halloween traditions. The Berenstain Bears Trick or Treat – Who doesn’t love The Berenstain Bears? These popular characters will help your child to learn all about trick or treating. It’s Pumpkin Day, Mouse! Your child will love to read about the mouse from the “If You Give a Mouse a Cookie” stories and the different pumpkins it carves. These 10 Halloween Picture Books are sure to delight your littlest trick-or-treater as he or she gets ready for carving jack-o-lanterns, trick-or-treating, and other Fall festivities.